Block of rooms avail. Preferred rates. Mention RAHS Reunion when booking! Have any photos or memorabilia you would like to share? Bring with you to the Fri Nite “Meet n Greet” on 10/18/19. We will display on Sat Nite at the event. IT WON’T BE A RE UNION WITHOUT YOU! The class of 1969 experienced history on a regular basis: The Summer of Love, the Tet Offensive, Nixon's rise to power, The Beatles' creative peak... very few spans of time can claim to have shaped American culture as much as the late 60's, and you & your Rancho Alamitos High School classmates experienced it together. 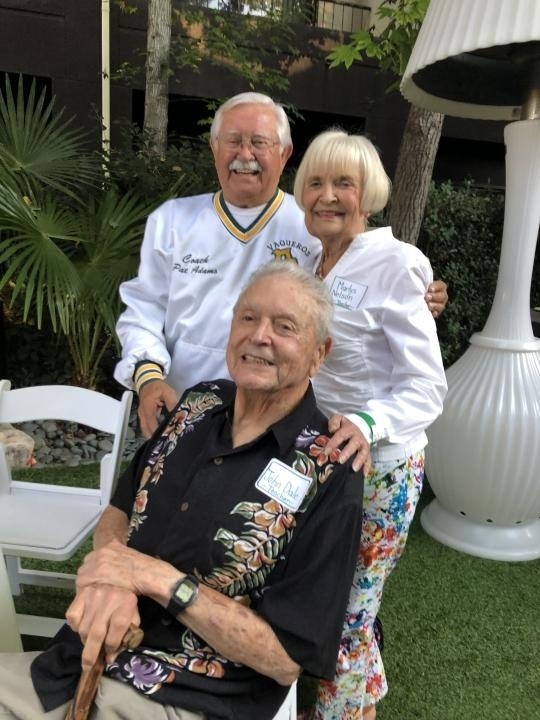 Now as you and your fellow Vaqueros prepare to enjoy retirement it's the perfect time to reunite and share where life has brought you in the last five decades. Your reunion is scheduled and AlumniClass is your spot for arranging travel plans, ordering custom Vaqueros merchandise to show off your school spirit, and connect with classmates ahead of time. AlumniClass.com (398) - 10019 E Knox Ave, Spokane Valley WA, 99206.